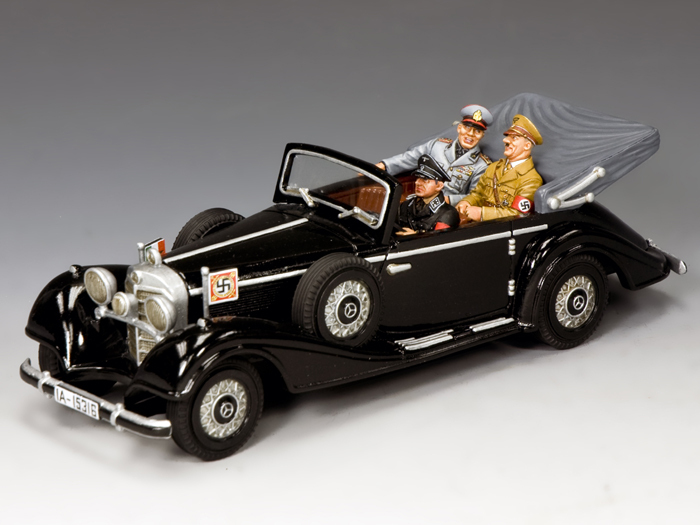 Over the years K&C has produced quite a number of automobiles associated with Hitler. Most recently we produced the Mercedes Benz 770 ... Now we’re introducing another of the vehicles in the Fuhrer’s very public fleet ... The Mercedes 540. Here, you see Hitler and Mussolini together in the 540 after having signed “ The Pact of Steel” earlier in the day. Both look very pleased with themselves ... as well they might ... for the moment . 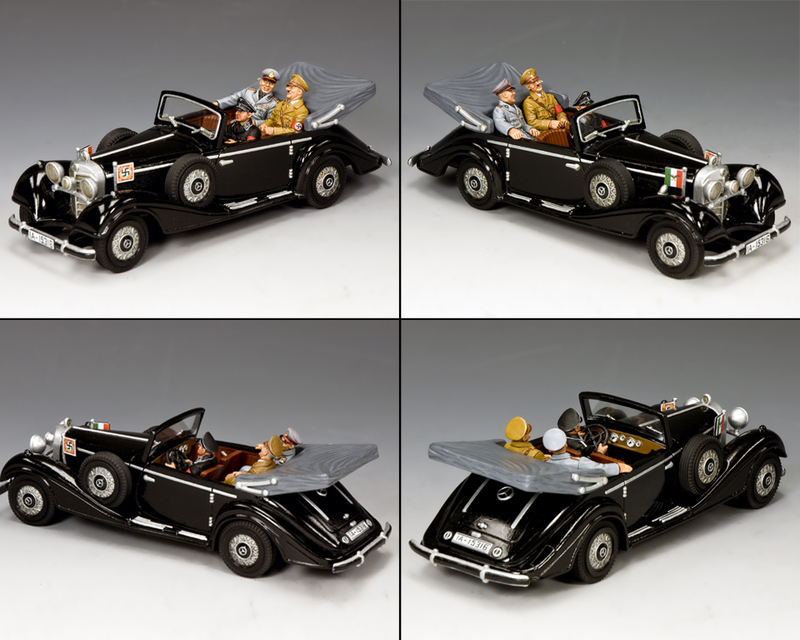 This set also includes a seated SS driver and has the two flags on the front of the 540. Those of Fascist Italy and Nazi Germany. SS-Hauptamt SS Central Command H.Q.